Used-Good. Good paperback. The Collected Works of F.A. Hayek, volume 1. Reprint, 1992. Pencil underlining throughout, otherwise a bright copy in tight binding. Dispatched, from the UK, within 48 hours of ordering. This book is in good condition but will show signs of previous ownership. Please expect some creasing to the spine and/or minor damage to the cover. Damaged cover. The cover of is slightly damaged for instance a torn or bent corner. Grubby book may have mild dirt or some staining, mostly on the edges of pages. Inscription on the first page, typically just a name but may include a dedication or a brief personal message. Good. 0226320669 Bumped and creased book with tears to the extremities, but not affecting the text block and a remainder mark to one edge-Good. Very good. NOT ex-library. All items shipped within 2 business days and guaranteed. Proceeds benefit the Pima County Public Library, serving the greater Tucson area. 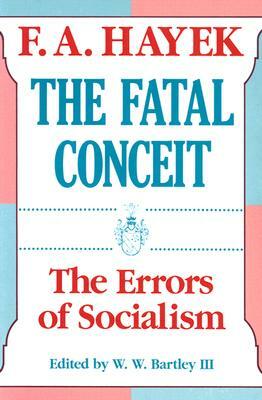 Friedrich A Von Hayek, one of the two best-known Austrian economists on record, has written a masterpiece that all Americans should be required to read. Hayek addresses the age-old problems that socialism breeds and promulgates. According to Hayek the true costs of government socialistic programs are carefully hidden. Because these hidden costs can be increased and added to without citizen resistence, eventually the economic infrastructure of the socialistic countries will collapse. Additionally, Hayek writes that the collectivist mentality of allowing government powers to include increasing economic control will lead to the merger of state and corporate power-thus fascism.